The X3 X ds Turbo R is all about control, with fully-adjustable FOX 2.5 Podium RC2 HPG Piggyback shocks, with front and rear dual-speed compression and rebound settings for unparalleled flexibility on any terrain, with any driving style. THRILLING POWER: Meet the king of side-by-side engines, the precision-engineered, industry-leading triple-cylinder Rotax ACE engine. Its 172 hp at 7,250 RPM and 124 ft. lb. of torque at 6,500 RPM give searing speed, no matter the terrain. Tell your friends: 0-60 MPH in just 4.4 seconds. 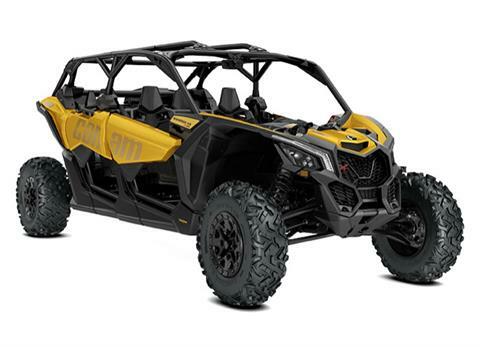 CLEVERLY CAGED: Our engineers are rightfully proud that the Maverick X3 MAX features an ultralight, rigid chassis made of state-of-the-art Dual-Phase 980 steel. Not only is it strong enough to allow the suspension to do its magic, it’s the most efficient way to both harness 172 hp and keep your passengers on lock. 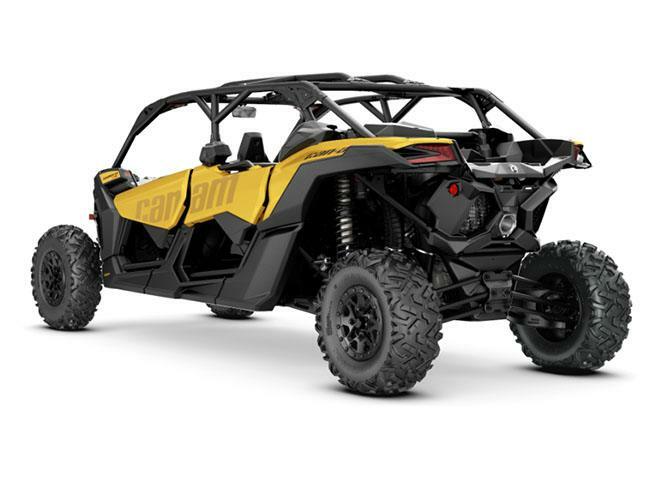 HANG-ON HANDLING: With a chassis built to conquer any terrain—and a wheelbase 15% longer than the Polaris RZR XP4—the Maverick X3 MAX is not only at home in rough terrain but comes alive with confidence at high speeds. From its arched double tubular A-Arm and sway bar up front to its race-inspired quick-ratio D-shaped steering wheel, Tri-Mode DPS system, and Intelligent Throttle Control (iTC), it’s handling you should experience for yourself. UNMISTAKABLY FIERCE: The Maverick X3 MAX X ds' intensity comes from a mix of performance-driven mechanical and structural design, from its signature LEDs to its advanced cockpit. 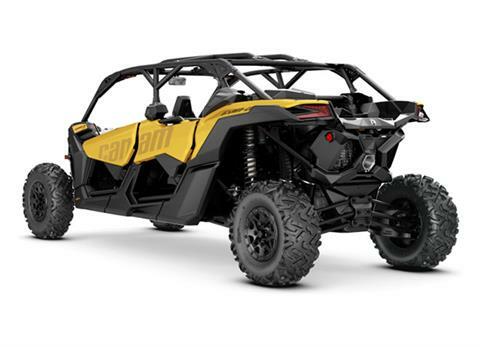 Here, designers have blessed the Maverick X3 X ds with an unmistakable look: in your paint choice of Circuit Yellow or Triple Black or Platinum Satin. OPTIMIZED WHEELS: Keep rolling strong with 14 in. aluminum beadlock wheels and 29 in. Maxxis Bighorn 2.0 six-ply tires. Built to withstand rough terrain, sturdy lugs and a non-directional tread pattern ensure a precise, earth-conquering ride.